I’ve talked about the miracle of food trucks at Brassneck before, and this time I tried Guanaco, the Salvadorean food truck. 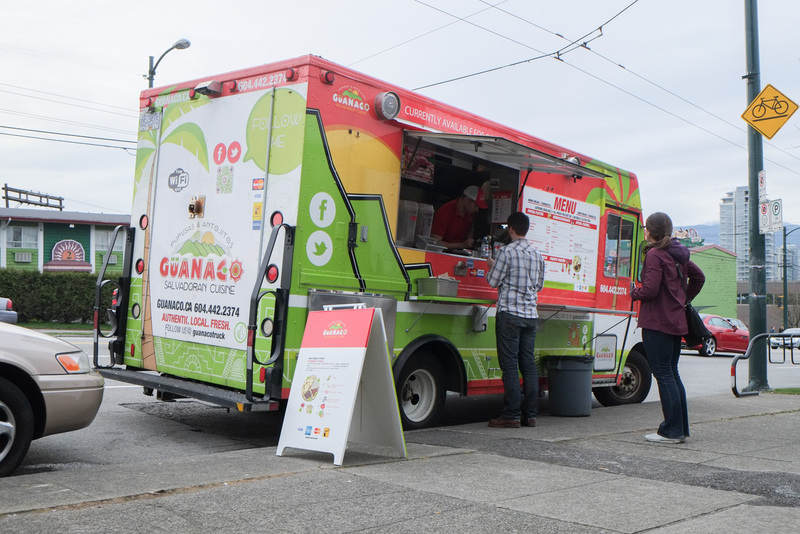 The Guanaco truck at Brassneck. I first tried them was when they started up a couple years ago downtown. 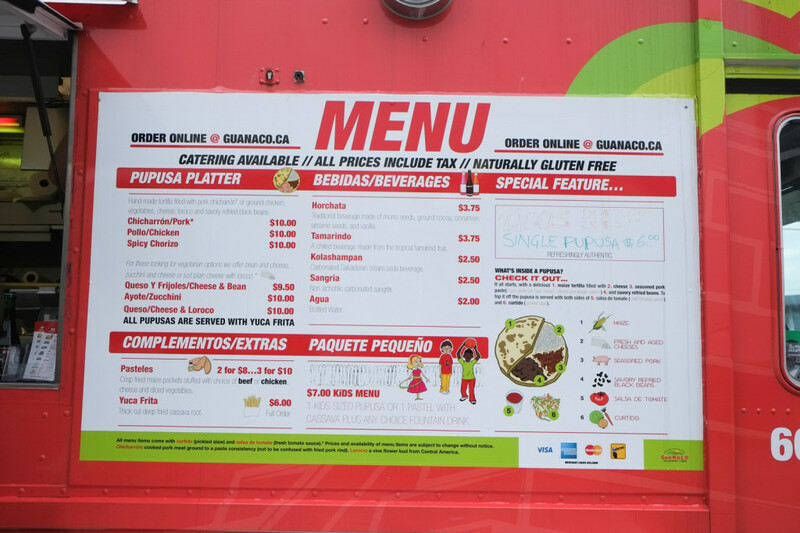 At that time I thought the pupusas were kinda bland but I think that’s the typical flavour profile of a lot of South Central American food…not salty and not a ton of seasoning (like at those Salvadorean places on Victoria Drive and Magda’s on Fraser). 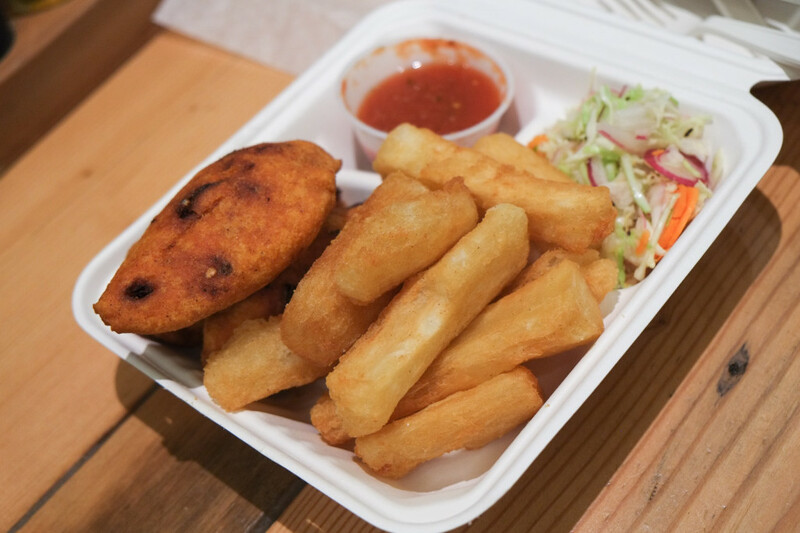 But the major disappointment with Guanaco was the yuca frita (cassava fries). They were dry, fibrous and tough. So bad that didn’t bother with Guanaco in the two years since. 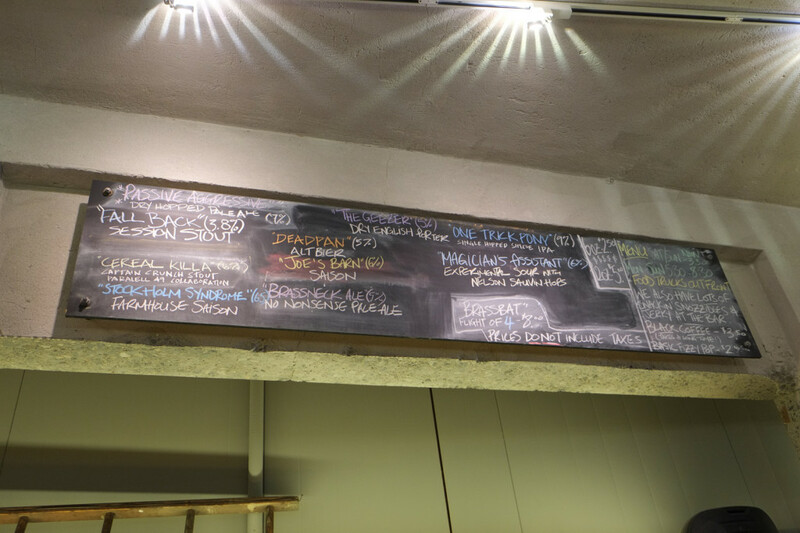 Recently they were at Brassneck so I thought I’d try them again. Glad I did. 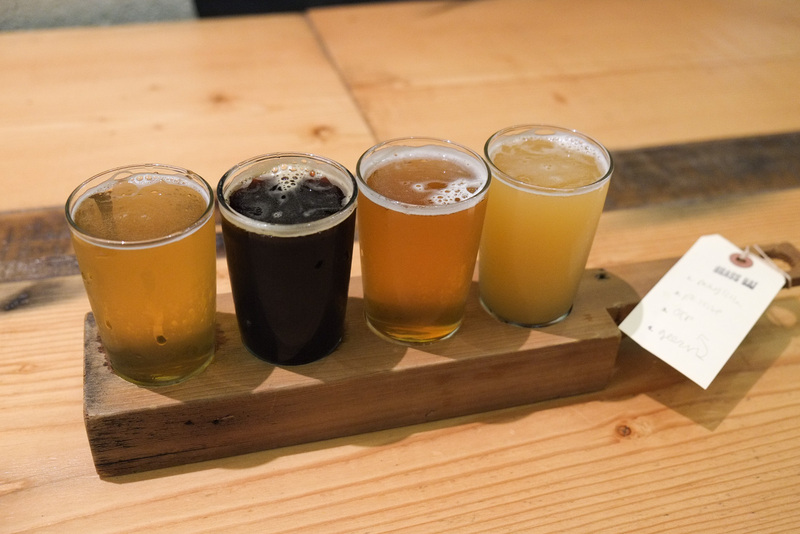 I went with (L-R): One Trick Pony (Single Hopped Simcoe IPA), The Geezer (Dry English Porter), my favourite go-to Passive Aggressive (Dry Hopped Pale Ale) and the tasting room-only special Magician’s Assistant (Experimental Sour with Nelson Sauvin Hops). 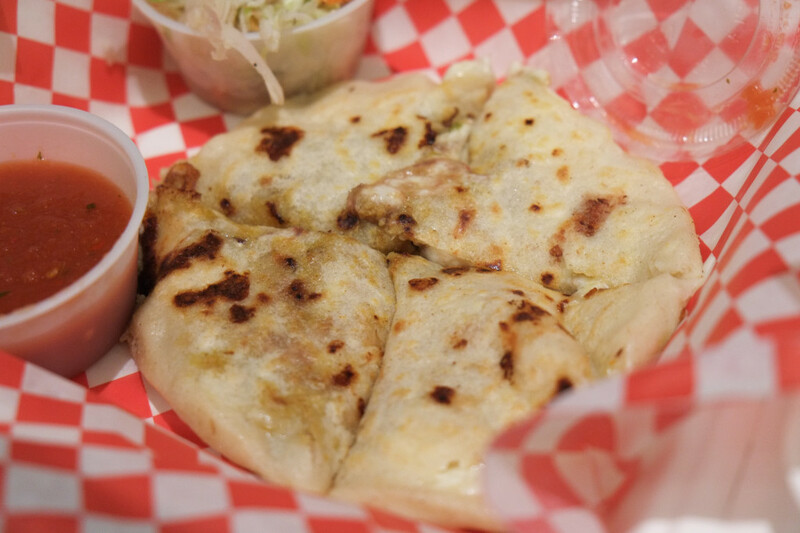 If pupusas aren’t your thing, maybe you’ll like pasteles? 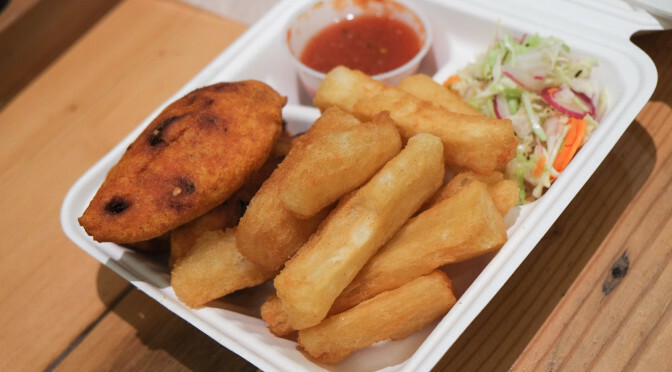 Much-improved cassava fries! Not dry or tough like last time. 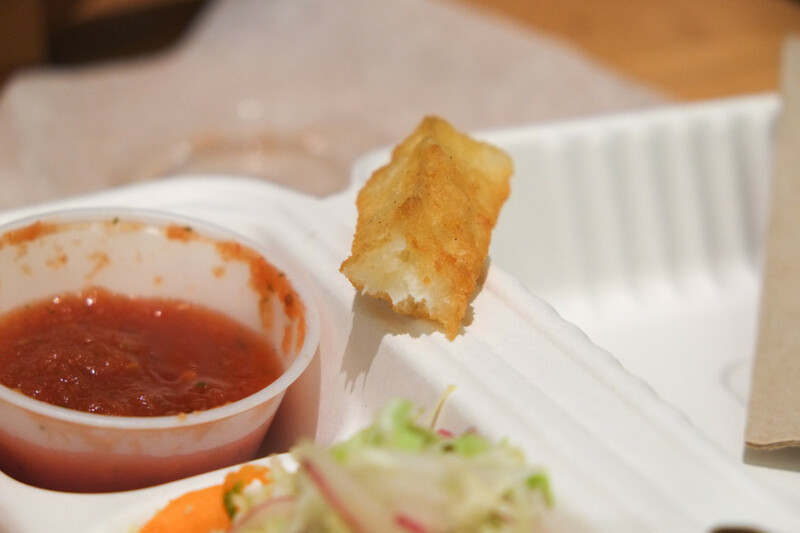 Fresh-tasting, crispy on the outside, soft on the inside. Almost creamy. Starchy, hearty, hint of salt. Delicious. Great with the tangy acidic salsa. Awesome show, great job! Pork Pupusa Platter. Sorry, did I spit on you? Here’s the inside of the chicken pasteles. These were tasty. 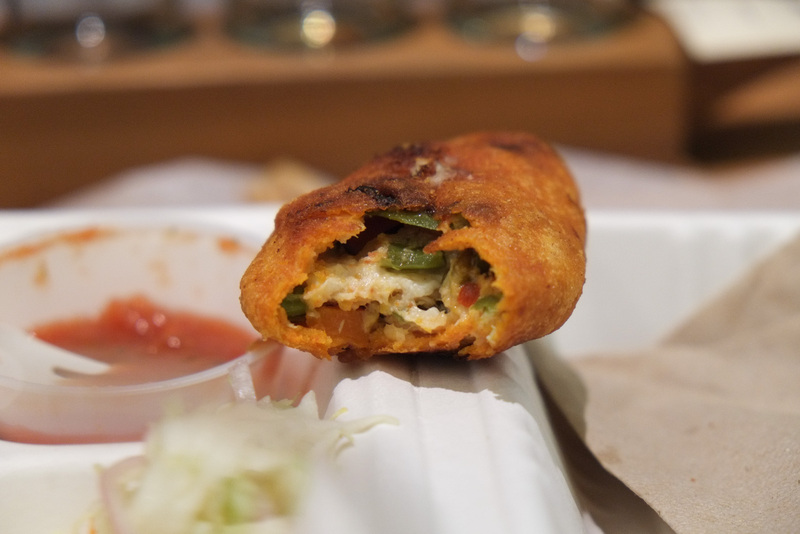 More flavourful than the pupusas, partly by virtue of being fried, but definitely had more spices. Filling was chicken, cheese, peppers and possibly onion. 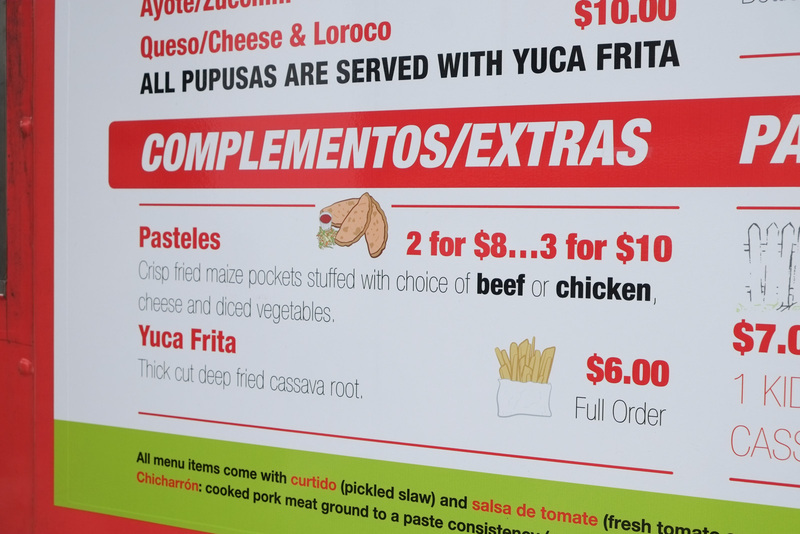 I’d maybe try the beef pasteles next time, but I’d definitely get the yuca frita again! 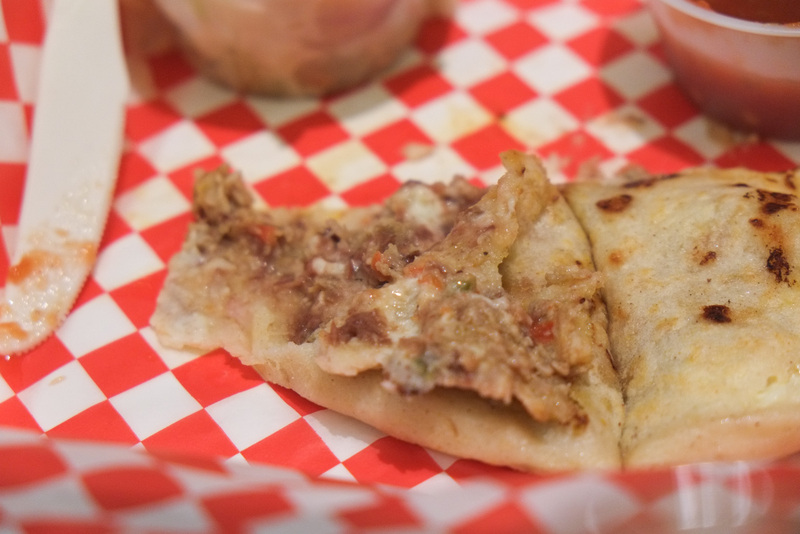 Pupusas are a national dish of El Salvador. Not at all from South America! No other country make Pupusas!!! Get your facts straight, if you’re going to criticize. Pupusas are awesome!!! !